Gravan Business Solutions (Pty) Ltd is a Proudly South African Company based in Gauteng. The company is run by a husband and wife team who offer their combined, as well as their individual skills to effectively manage and run a business that assists other companies to do the same. 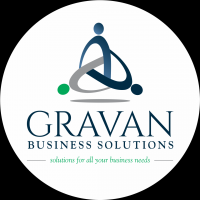 Gravan Business Solutions (Pty) Ltd is an all-round Business Solutions Provider offering such services to companies who may need, or perhaps would like, assistance in reaching the next level in the market place. We offer services which will not only minimize your workload, but that will improve all aspects of your Business. Our main driving force behind this concept is passion...a passion for people, a passion for success and a passion for making something ordinary extraordinary!! We strive for repeat, as well as referral business which is why we pay special attention to what our clients are looking for even if that means incorporating something that we do not usually do. This extra mile is what sets us apart from other companies. It is because we realize that at the end of the day, it is our clients who will journey the road ahead with us! Salary is between R12k & R15k depending on candidate’s skill set and experience. NB: Please DO NOT apply should you not meet ALL the above requirements. If your application does not include all the attachments, it will be deleted.